On the road, heading north, hoping to see some signs of spring when we get there. In anticipation, I thought I would post this piece from the past, published in 2006. Two white swans appeared this spring in a marsh area near our home. Each Sunday morning as we traveled to church, we would see bird watchers with binoculars and cameras spouting long lenses, observing the couple. It wasn't long before the obvious happened. The couple produced an egg and it soon hatched. The offspring looks nothing like his parents. He is gangly, oddly fuzzy, and gray. He reminds me of Hans Christian Anderson's story, The Ugly Duckling. Since I seem to be into analogies lately, I drew this one. 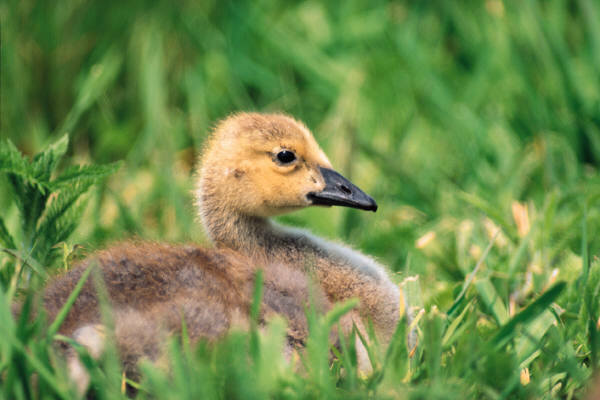 A new Christian is like an "ugly duckling." He starts out eagerly following those before him. He's a bit awkward at times as he begins to learn scriptures. But before long, he becomes more graceful as he is filled with God's grace. God gives him a new look--clothing him in pure spotless white. I will watch the little swan as he adapts to his world and I will think about how God is still feathering my life with his grace and remaking this "ugly duckling."